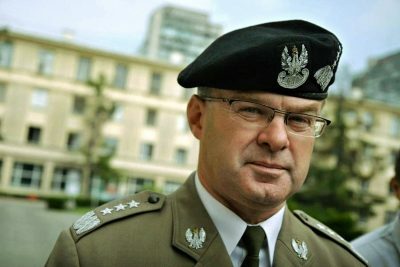 The former commander of the Polish Land Forces General Skrzypczak doubted the expediency of creating the American military base Fort Trump in Poland. The Americans have their own interests – hoping to deter Russia by using Americans – that do not coincide with the expectations of Poland, explained the General. “Americans understand that beyond Iran there is China, and behind China there is Russia … Here everything is connected … America cannot win such a war”. The US is trying to not allow the economic strengthening of Beijing in Europe and to disrupt the implementation of the Chinese infrastructure project “One Belt, One Road”. When fulfilling these tasks Washington tries to involve as many allies as possible. For example, suggesting to Poland to hold an anti-Iranian conference, without having invited representatives of Tehran. The “Nasdaq” website previously pointed out the interest of American weapons companies in the appearance of a Fort Trump in Poland. Against the background of negotiations on this topic between Washington and Warsaw, the stocks of weapons giants cooperating with the US State Department sharply increase. The stocks of the “Aero Vironment” company, which manufactures drones, rose in 2018 by 103%, “Engility Holdings” – by 21%, and “Aerojet Roketdyne Holdings” – by 8%. The Polish media says that a Fort Trump would be a pot of gold for the American military-industrial complex.